Today’s fast-paced and high-pressured business environment often requires workers to spend 60, 70, 80, or more hours per week on the job. Unfortunately, productivity tends to decrease as work hours increase, and in this type of business climate, traditional time management techniques may be meaningless and outdated. In What To Do When There’s Too Much To Do, Laura Stack offers a system that allows workers to accomplish more by doing less work. Following her step-by-step Productivity Workflow Formula allows workers to organize their work lives around the tasks that really matter and disregard those that do not. The dozens of strategies that Stack provides help to reduce commitments, distractions, interruptions, and inefficiencies. Determine what to do: Triage to-do lists and decide to do only what matters most. Schedule time to do it: Assign time slots and duration for all tasks. Process new information: Research, file information, and handle incoming information. Close the loop: Reduce inefficiencies. Manage capacity: Focus on physical factors affecting energy. In today’s busy world, the demands on an individual’s time can be overwhelming. In fact, forty-two percent of American workers feel that they are overworked. High speed technology, downsizing, and increased customer demands have created an impatient, time-impoverished society. In Make Every Second Count, author Robert Bly acknowledges that twenty-five hours cannot be jammed into a twenty-four hour day; however, an individual can solve the most critical time-management problems by increasing personal productivity. It is unlikely in today’s work environment that workloads will decrease. However, if employees can learn to be more efficient at work, they can conquer their workload and find more free time for enjoyment. Most people today are overwhelmed with work both at work and at home. Working more efficiently is one solution, but few know where to begin. In Get-It-Done Guy’s 9 Steps to Work Less and Do More, Stever Robbins has identified specific techniques for working smarter and getting more done in the same amount of time or less. His methods are the result of working with clients for years and helping them change the way they approach tasks. The old saw says that money cannot buy happiness. But what about the reverse? Does happiness matter in the workplace? 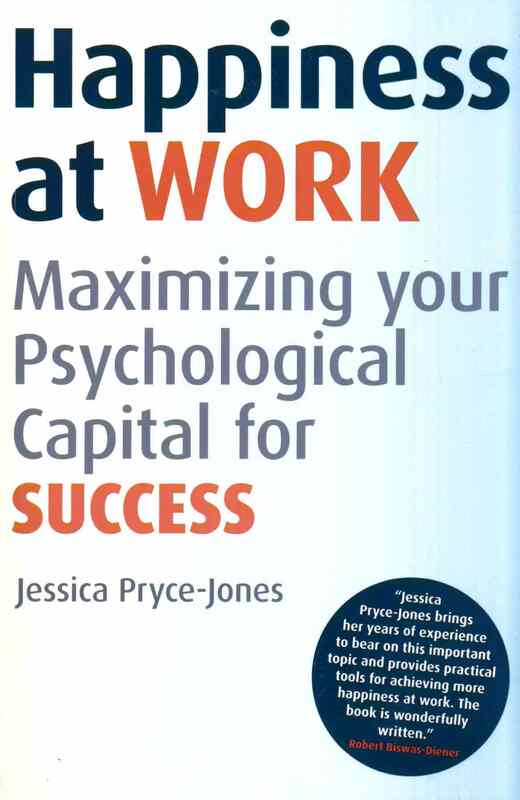 In Happiness at Work, Jessica Pryce-Jones demonstrates that happy employees are more successful in a variety of indicators, including promotion, motivation, efficiency, and health. Happy employees contribute more, stay in their positions longer, and are better to work with. Furthermore, happiness is neither mysterious nor intangible—there are numerous strategies that individuals and businesses can adopt to enhance the happiness of their workplaces. In today’s economic climate, everyone in business should be looking to tap into this vast, often poorly understood human resource.